This march emphasizes science as a method to uncover the truth. The role of science in government, the media, and public policy must to be safeguarded. Marchers are considered “guardians of science.” More here. 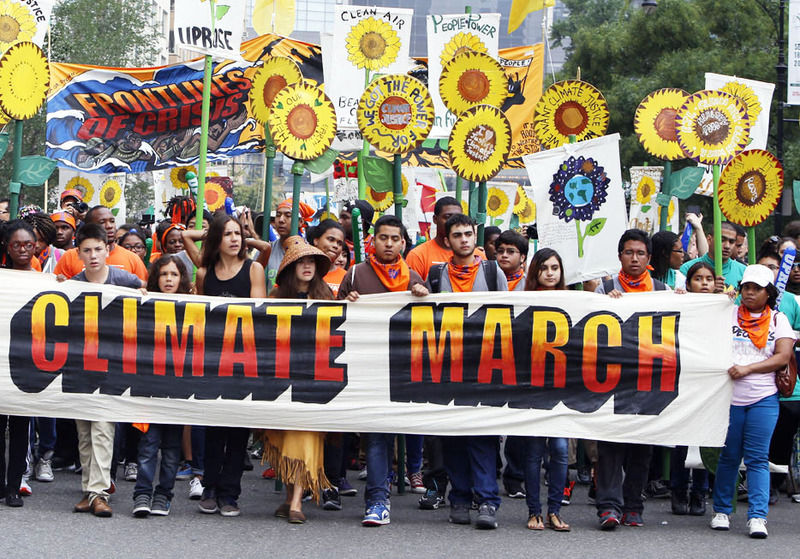 People’s Climate March Saturday, April 29 12 p.m. at Federal Plaza, 230 S. Dearborn St.
Prioritizing people and planet above corporate polluters is the theme here. Marches will take place simultaneously at cities across the country, including Washington, DC, telling our elected leaders to take climate change seriously. Thousands are expected to participate nationally. RSVP here. May Day March Monday, May 1 1 p.m. Rally at Union Park, 1501 W. Randolph St. 4 p.m. Ends with a Rally at Federal Plaza, 230 S. Dearborn St. This march commemorates the volatile workers movement that pushed for an 8-hour work day back in 1886. The rights of workers today are still the theme and particularly the plight of immigrant workers. More here.